Here we go again…another fine mess! New Year’s parties are just this side of CLICHE, so its usually best to lay low and grab the bubbly and your favorite cashmere blanket and movie. 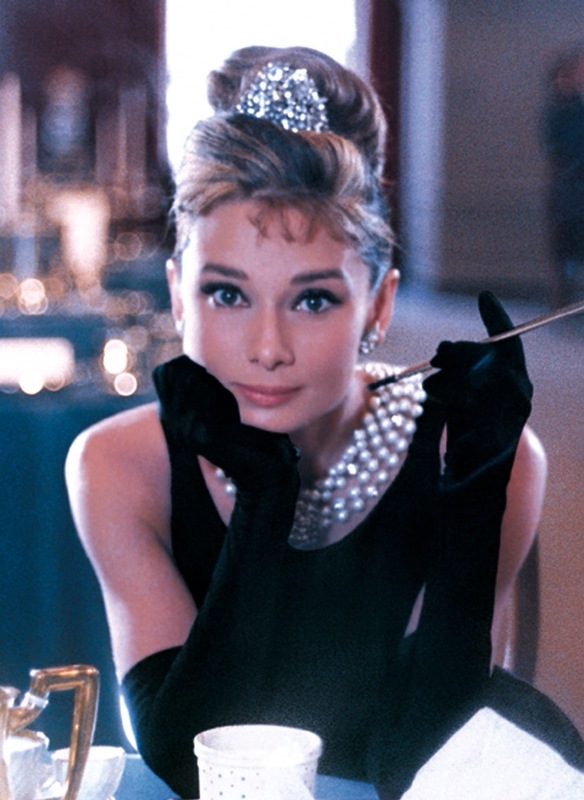 Ours is always one of few choices but perhaps the best is “Breakfast at Tiffanys”. Our tips for getting over the party experience are all outlined in “Breakfast at Tiffanys” and by our own Audrey, herself who always managed to come out of it with style and aplomb. So, if you can take a walk down 5th Avenue, in New York or any other avenue while clutching a croissant (and coffee) the world might just look a bit better according to Holly-go-LIghtly. I wish the “Real World” were as simple, but when you are talking about a great story, a great moment on film and the entire industry that it created, you have to admit, its more than it appears. The “little black dress” that was created for the film and its accessories are fashion legends. That’s why I love a great brand story. Once you find it, and it speaks to you (and to your audience) you can’t turn back; its simply the most powerful tool you have as a small business to engage your customers. Next year, the brand story will be the most important new thing you do for your business. Many thanks to all of you who made our year so special, you know who you are! If you’re out and about, be sure to sign up for a driving service, to make sure you are not doing the driving. Our fashion tips for the occasion are at: http://www.artofstyle-magazine.com.